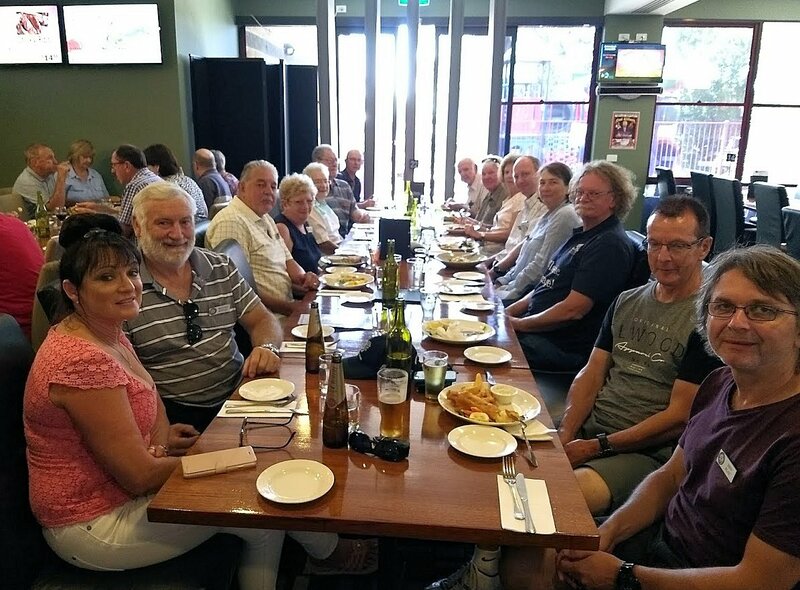 MID-WEEK-RUN to Moe Racing Club, Wednesday 17th January. Gippsland put on its best weather for our Mid-Week-Run to the Moe Racing Club on 17th January. The skies were clear blue and the temperature was in the high twenties …. some might say warm – but if you are cruising along in a convertible on scenic country roads, this is the perfect temperature. The day started at the regular starting point outside the Darnum Tea Rooms for coffee, with 20 beautiful cars assembled – half with passengers. Mustangs were well represented in the mix of classic drives and cruisers with the youngest car being a 2017 Subaru BRZ that still had its new car smell. The start of the drive, and my favourite part, was the climb up Sunny Creek Road from Trafalgar towards Childers – Thorpdale. We followed an XJSC with a modified exhaust chasing a 1974 Charger E48 6 Pack (a car that still drives through my dreams with memories of my youth). These two cars filled the air with magnificent sounds as they wove round the corners with plenty of open throttle and gear changes up to Childers. From there to Thorpdale there was more of a gentle cruise to enjoy tall trees and the occasional glimpse of wild life and live stock in the rolling pastures before dropping down into Narracan. We saw some rosellas and an emu in a roadside paddock (surely a pet) as we came into Coalville, and the road from there was another great drive on tight winding roads with wonderful scenery until the outskirts of Moe South. 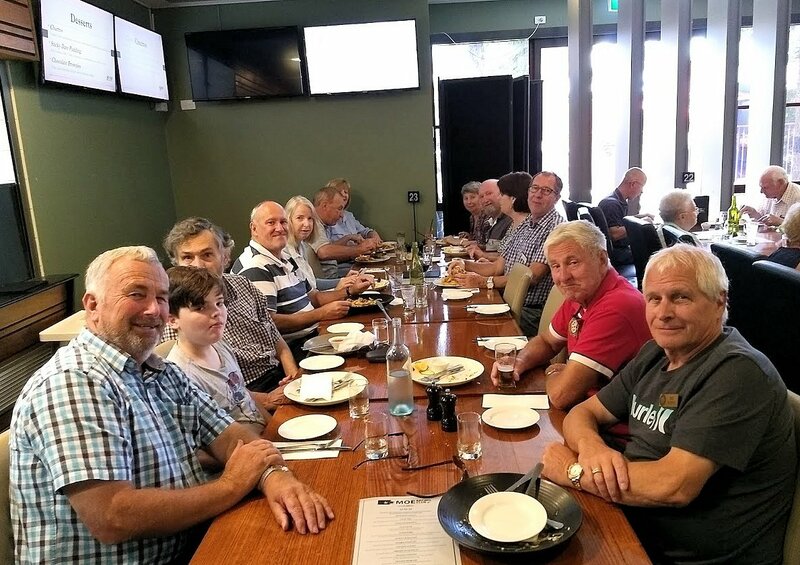 The large convoy of 32 people then arrived for a delicious lunch at Moe Racing Club’s Turfside Bistro, with a lot of great socialising with our group spread along our two long tables. My many thanks to John Fowler, who again found some lovely roads and scenery for us to enjoy with our expensive toys.